About a month ago we launched a really fun little collaboration hat with our friends at FairEnds by creating some colorful TOM and BOY hats. Since then the hats have traveled the world, from London to Australia, Brooklyn to Yosemite—one even made its way into the new Tradlands lookbook! 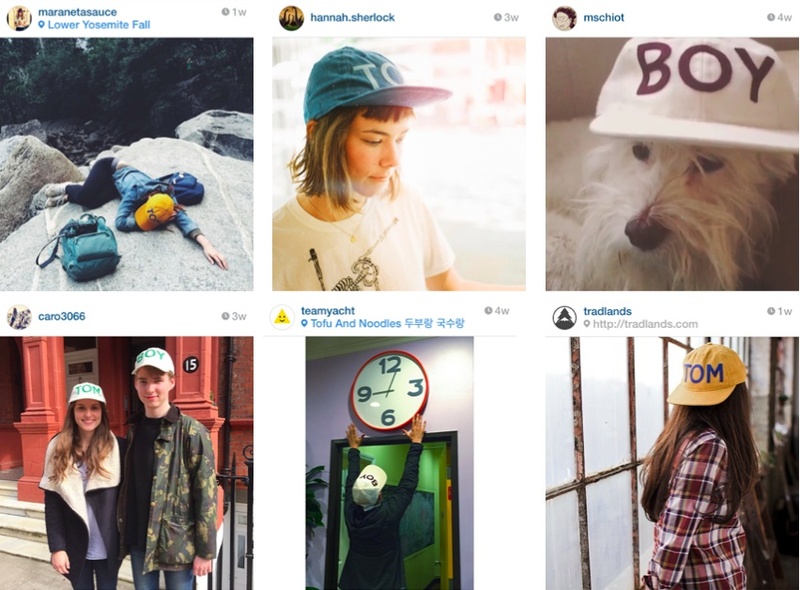 Thanks for all the support and thanks for posting your hats on Instagram. As we make room for The Reed Shop's incoming inventory (launching *we hope* next month! ), we're offering a deep discount on the few remaining hats left. ENTER CODE: 35TOMBOY for 35% off >>> right here.